Birthday gift from TheOleskaaa :) Thank you :* Great green, I love this type of greens :-) 2 coats, but one thick would be enough, daylight. On the ring finger I have also one coat of China Glaze Sour Apple ( <3 ). Urodzinowy prezent od TheOleskaaa :) Dziękuję :* Świetna zieleń, uwielbiam takie :-) 2 warstwy, ale jedna gruba by załatwiła sprawę. Na paznokciu serdecznym mam też jedną warstwę China Glaze Sour Apple ( <3). 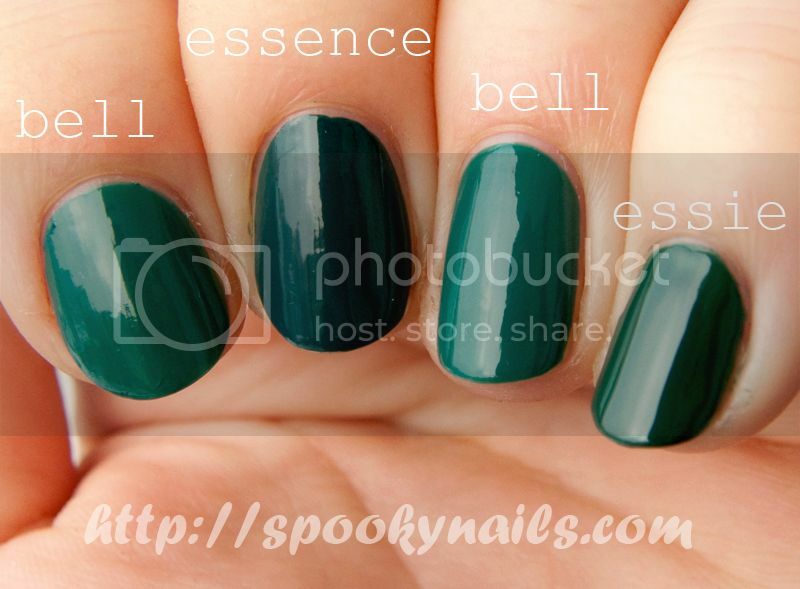 I compared it with LA Girl Matte Alpine Green, Essence Trendsetter and Essie Going Incognito. You can see, that Essie is different. LA Girl and LA Color have the same color and of course different formula, Trendsetter is slightly more blue (but it is still a 95% dupe). Porównałam go z LA Girl Matte Alpine Green, Essence Trendsetter i Essie Going Incognito. Essie to zupełnie inny typ zieleni. Można zobaczyć, że LA Girl i LA Colors to ten sam kolor ale inna formuła. Trendsetter jest minimalnie bardziej niebieski (taki 95% duplikat). That combination with Sour Apple is amazing!